This war of words has already gone on long enough, and we actually just hope it ends now – as it’s getting boring and more importantly – is entirely unhelpful for Loris Karius. 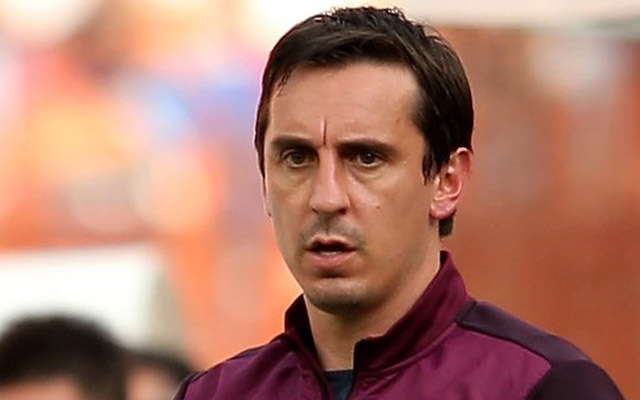 Jurgen Klopp yesterday jumped to the defence of his keeper, questioning why the Neville brothers had a right to cast such harsh judgement on a player, especially Gary – who failed miserably when he worked as manager of Valencia. Neville though has responded on Twitter, suggesting that he can still spot good and bad players regardless of his stint in Spain. He’s probably right, actually. All fans have a right to an opinion on a player, regardless of their experience in the game, but Klopp did exactly what he had to do yesterday and backed his man Karius. Hopefully, it helps to instil confidence in the young German, who could start against Middlesbrough on Wednesday.